We’ve been to Mississippi before. A few times, in fact, and we’ve always had a great time. 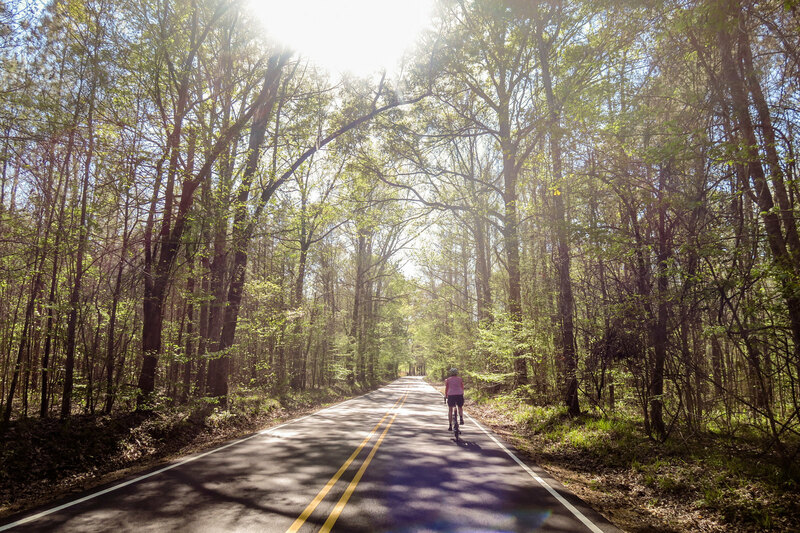 But we’d hazard a guess that, unless you’ve also found yourself crossing the state on two wheels, Mississippi might not stand out as a must-see cycling destination. 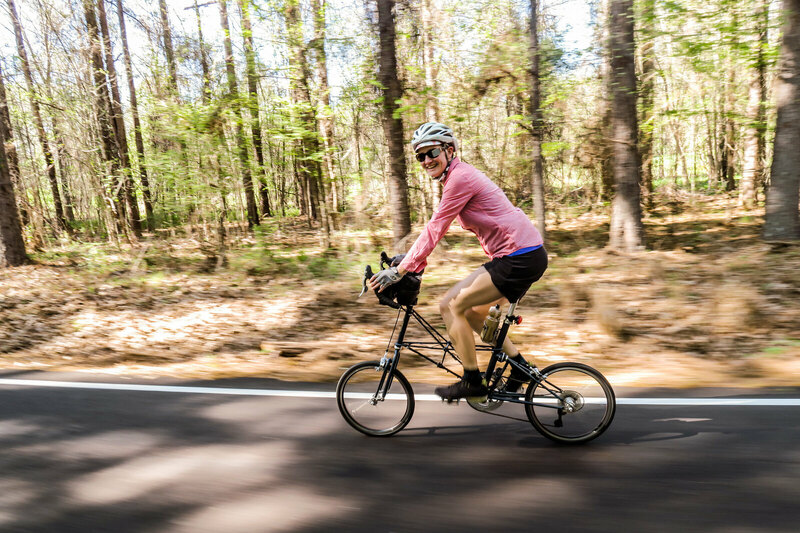 Which is why we jumped at the chance to spend four days riding across the state, as part of the Mississippi Cycling 200 – a trip sponsored by Visit Mississippi to celebrate the state’s 200th birthday and show off the variety of cycling opportunities. Over the course of the week, we rode on rail trails, rural roads, and beach paths. We followed a stretch of the Natchez Trace, zig-zagged through small communities, and took in an immense amount of history. So, if you’re curious about heading to Mississippi on your next bike trip, here are our favorites of the many different routes that we rode..
It’s the morning of our first full day in Mississippi, and we wake up to a beautiful sunrise over the farmland surrounding the Concord Inn. After a tasty home-cooked Southern breakfast, we shuttle the few miles into downtown New Albany, where we meet up with a few folks who will be joining us along the ride. New Albany is a small community, but they have worked hard to revitalize their downtown core. The trailhead is nestled into the main street, right beside a coffee shop, and creates a welcoming connection between riders and the community. A converted rail-trail, the Tanglefoot Trail runs for 43 miles, connecting six communities. It winds through farmland and several small communities. Every few miles, there is a picnic area, a restroom, or some other opportunity to get off the bike, stretch, and explore. Towns are perfectly spaced, and there are just enough curves and grade variations to keep the route from getting too monotonous. Don Locke, the trail manager, rides with us, telling us about how the trail came together, and pointing out various improvements along the way (like, where someone is building a new lodging property). You can feel the community pride for the trail – from the way people stop us to chat, to the signs trumpeting the local sponsors. Everyone is friendly, and we feel heartily welcome. 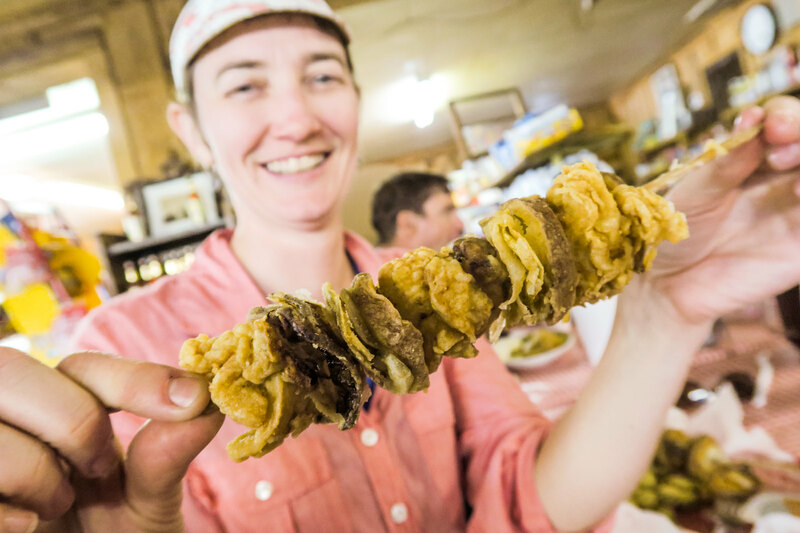 The Tanglefoot Trail may have only opened a few years ago, but it is well on its way to being a must-visit destination trail. Already, there are a variety of ways to ride and experience the trail, and we have no doubt that the options will only grow in the near future. And we definitely look forward to returning one day. 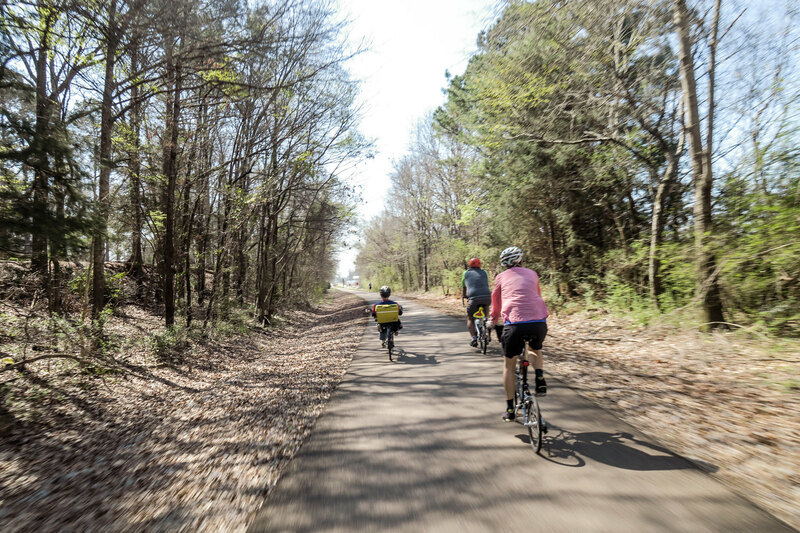 Watch our video about riding the Tanglefoot Trail here. 2. Vicksburg National Military Park. On our third morning in Mississippi, we meet our group at the Vicksburg National Military Park, a stunning collection of rolling hills and thick trees and monuments commemorating the 46-day siege of Vicksburg during the Civil War. 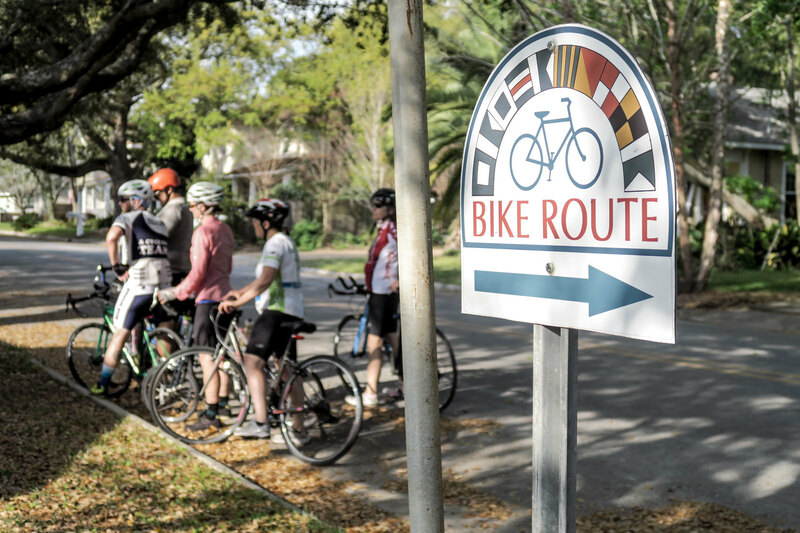 The ride itself is beautiful and challenging; a 16-mile, one-way loop that local cyclists will often do multiple times for a good training ride. Thick foliage and spring flowers, steep climbs and screaming descents, incredible look-outs and remarkably low traffic volume. But the beauty of this route is the immense and mind-blowing history that is layered on top of the riding. With its location on the Mississippi River, Vicksburg was considered “the key” to the outcome of the Civil War. Which led, in 1863, to a brutally-long siege of the city and surrounding areas. Today, many of the former battlefields are signed and memorialized (the park is considered the most monumented park in the US). We’re fortunate to be joined by Michelle, a local cyclist who also leads tours for VBT. Over the years of guiding tour groups through the park, she has learned much of the history of the area and the stories behind the monuments, which she happily shares with us to illuminate the deeper meaning. We have actually ridden this route before, in 2010, as part of our great nomadic travels. I remember appreciating the beauty of the park, but in the way that you might see only the colors of a painting in a museum and not the incredible depth and meaning behind it. 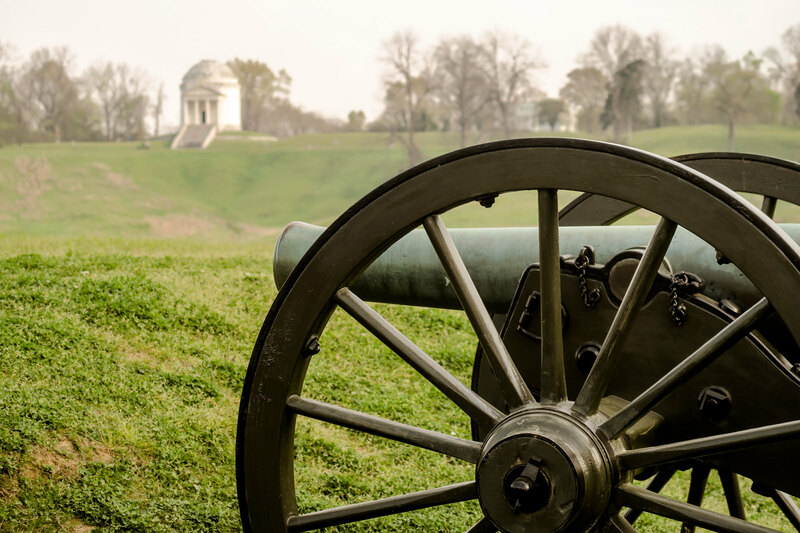 If you have the opportunity to ride the Vicksburg Military Park (which we highly recommend), it’s worth taking that extra step of finding someone who can interpret things for you and bring it all to life. 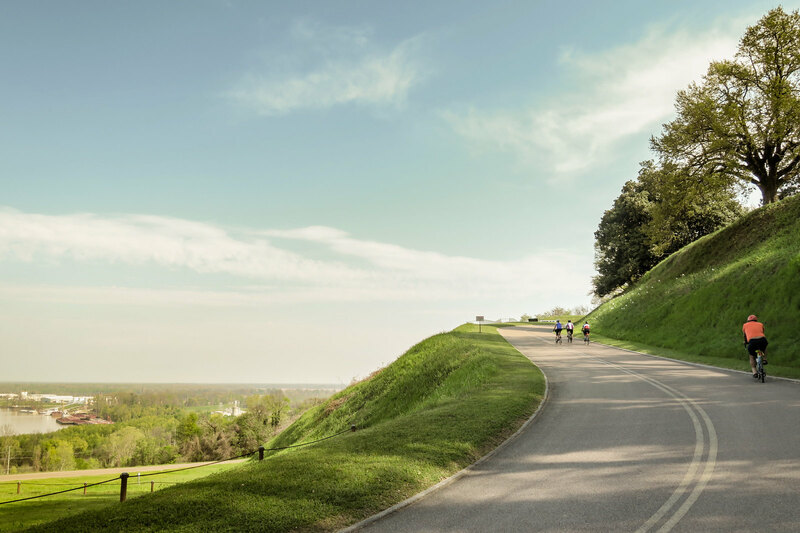 Watch our video about riding the Vicksburg National Military Park here. 3. Port Gibson to Windsor Ruins. On the afternoon of our second day in Mississippi, our itinerary gets re-arranged a little bit, to everyone’s delight. 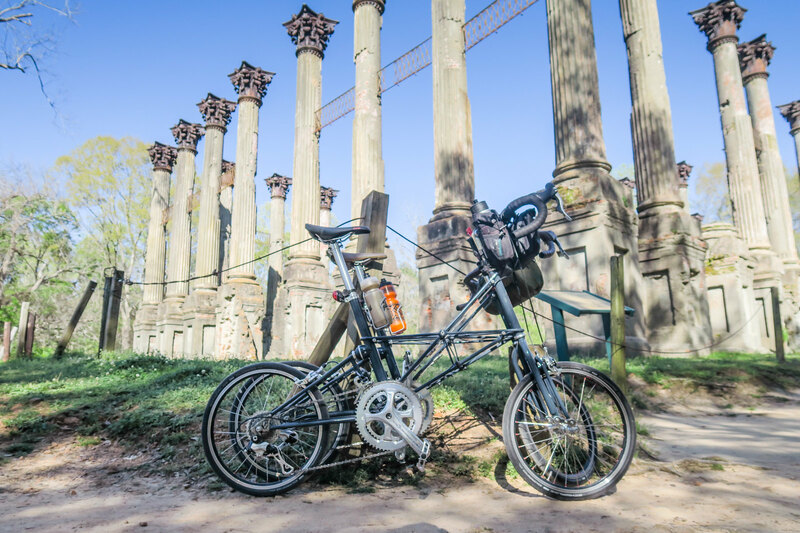 After a pleasant morning ride out of Ridgeland, and a leisurely lunch at Pelican Cove (a bike-friendly locals joint overlooking the water), it’s decided that we really can’t miss the Windsor Ruins, known as Mississippi’s Stone Henge. We shuttle down to the community of Port Gibson, refill our water bottles, and head out of town. We have no clue what to expect of this route, which is just as well, because we could never have envisioned what we found. We climb up the first hill and disappear into the woods. It is quiet and empty and the landscape is full of kudzu and river canyons and ghosts. The road has been recently re-paved and is shockingly hilly. As we head down the first screaming descent, I think to myself: “Are we still in Mississippi?” Up and down, up and down, with some grades topping 14%. It is an exhilarating ride; and, even though it’s only a 10-mile stretch, it’s quite possibly one of the best bits of road riding we’ve done in awhile. And then, just when we’ve forgotten that we’re there for more than just the hill climbing, we come around the corner to Windsor Ruins, the remnants of an Antebellum plantation house. Local history says the mansion was built in the 1850s, survived the Civil War, and was accidentally burnt down in 1890. Local lore says that it’s haunted. This route easily makes it in our top three, because it is completely unexpected. The topography is unlike most of our expectations of Mississippi, and the reward of the Windsor Ruins brings you face-to-face with a history that many of us didn’t learn about in school. It’s unique and beautiful enough to do as an out-and-back. Or, we’ve been told that you can turn it into a loop, provided you don’t mind returning on a slightly-busier highway. Watch our video about riding to the Windsor Ruins here. Honorary Mention: The Gulf Coast. On our last day of riding, we find ourselves on the beach. An expansive beach of sparkling sand receding into the Gulf. It is a stunning morning, and it is hard to imagine that Hurricane Katrina once buried this entire area under a wall of water and wind and debris. The Gulf Coast, we are told, breathed a sigh of relief when they marked 10 years post-Katrina. But, without a doubt, everywhere you go, there are reminders. Plaques that show the high water mark. Empty lots where houses once stood. New buildings sitting way up on tall stilts to meet new code requirements. And also.. Wide stretches of beach that are now open to the public because many commercial buildings were not allowed to rebuild so close to the waterline. Enormously-wide, protected bike/ped paths on each of the brand new highway bridges. A community brought together by hope and survival. We are joined by several local cyclists, who tour us around on one of their regular club rides. Starting in Waveland, we head East along the waters’ edge, then cross one of the stunning new bridges. We pass through a few communities, alongside tourist spots and local hang-outs, and wind around several neighborhoods. We enjoy lunch in a towering building-on-stilts, then weave our way through a patchwork of beach paths and boardwalks. As it stands right now, The Gulf Coast doesn’t really have a cohesive route that we can point to and recommend. But we think they’re well on their way. And, if any of the ideas we heard floating around actually come to fruition, we will definitely plan a return trip. The exception to the above statement is the Historic Pascagoula Bike Trail, which is how we end the day (and the trip). 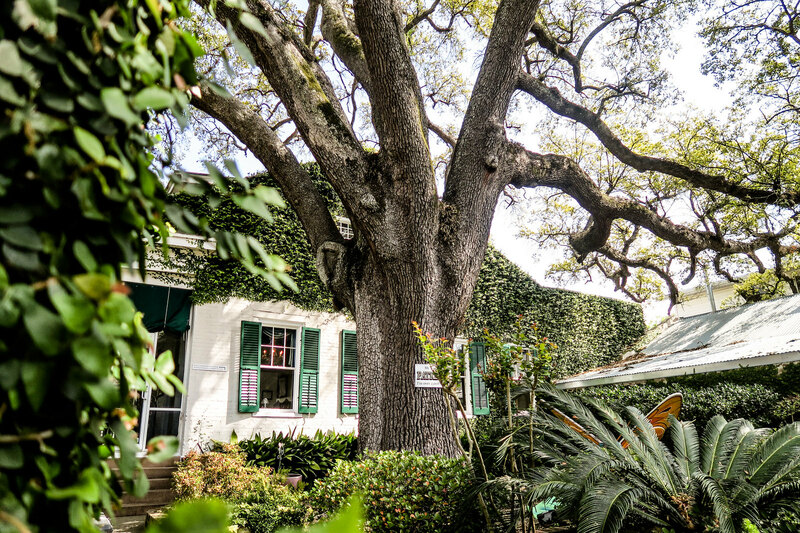 Put together by the Pascagoula Parks & Recreation, the 12-mile loop takes riders through historic neighborhoods with Spanish moss hanging from the trees, to the house where Jimmy Buffett was born, beside the ship yards and the beach and the historic lighthouse. 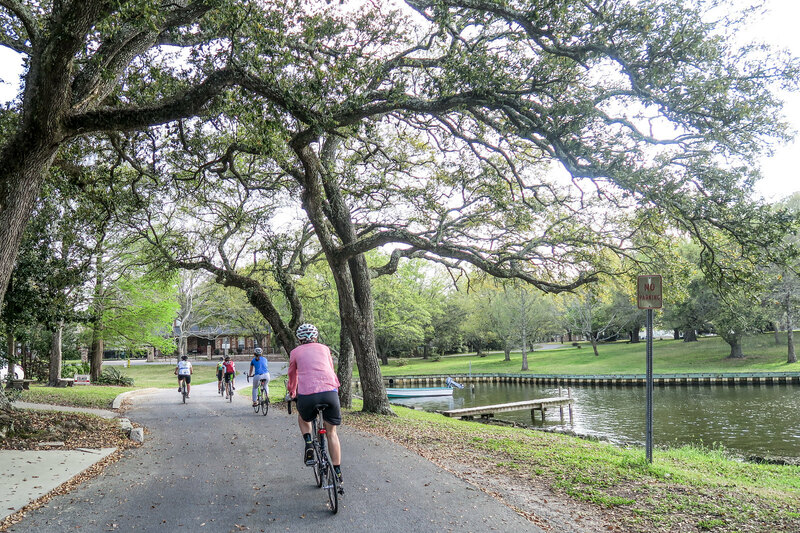 It is a leisurely, family-friendly ride – and, if you want a guide, you can simply call the Pascagoula Recreation Center and a local cyclist will meet you and tell you all the stories. Our last order of business, after four intense days of riding throughout Mississippi, and before traveling home, is breakfast at the Beignet Cafe in Biloxi. It (and its incredible beignets) perfectly sum up the trip – an unexpected location, full of friendly people, with rich culture and history, and some of the best food we’ve eaten while traveling. Not all of the riding that we did was excellent or tourist-worthy, and there are probably locations that are not as friendly to outsiders – but we found some definite gems that we enjoyed whole-heartedly and that we would recommend without hesitation. Thanks again to Visit Mississippi for putting together such an incredible trip! I live 2 miles from the Tangle Foot, inn Houlka. If you ever come back; my friends and I could take you on some really great rides in north MS. Loved the article. Hi there!!! Thanks again for joining us on the coast – we can’t wait for that return trip once we fill those gaps in the Mississippi Coastal Heritage Trail. One note of correction – HTP played a pretty large part in getting the Pascagoula Historic Bike Route in place. It was before my personal time, however, I’d hate to see the founding members’ efforts go unacknowledged.